Revo Pico RadioStation review | What Hi-Fi? Compact and clad in a rugged, splashproof rubber finish, and with a lithium-ion rechargeable battery, the Pico RadioStation is ideal for kitchens or bathrooms. Accessing stations is simple, using the turn-and-push selector and menu buttons, the telescopic aerial gives good reception on DAB and FM as well as internet stations, and the display makes browsing tracks to be streamed from network storage a doddle. The sound from the single speaker is weighty and detailed, with excellent clarity on speech and more than enough power to stay audible over even the noisiest shower. 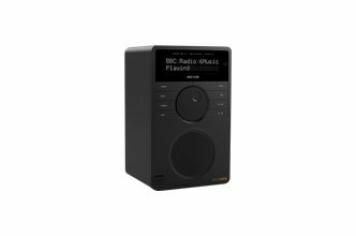 Connections include an input for the charger, a 3.5mm jack, headphone out and stereo RCA output, and a compact remote is provided, completing a package with a rugged appeal all of its own.